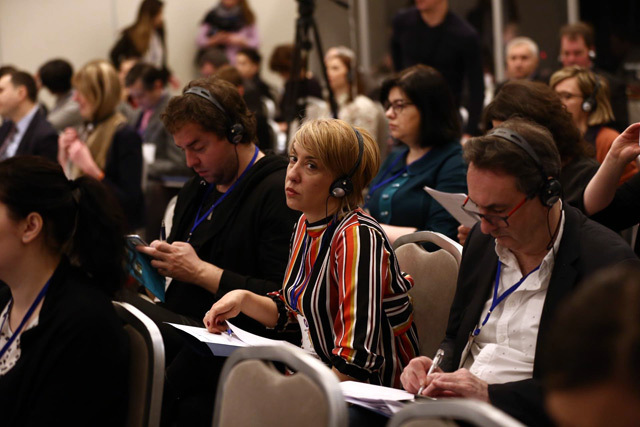 Some 20 international experts discussed approaches to rebuilding trust in journalism and alternative models of financing media on day two of BIRN’s digital media conference in Macedonia. 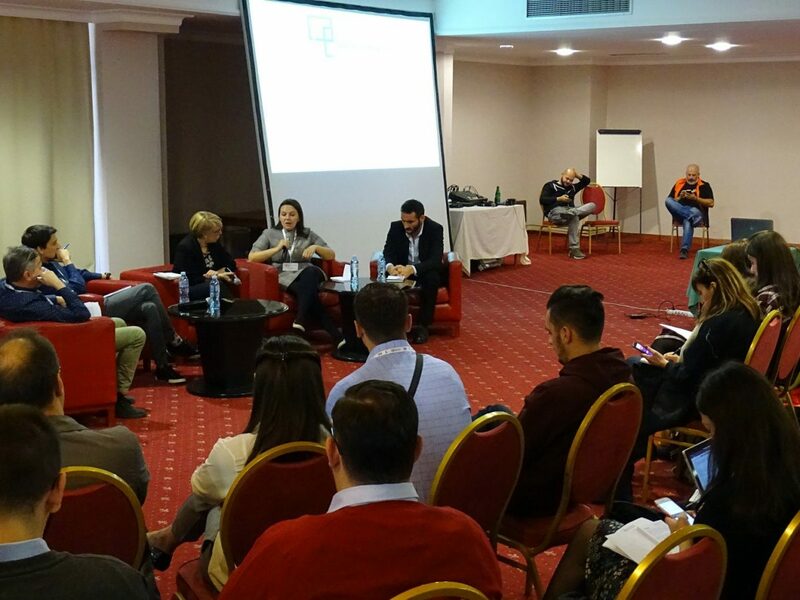 On the second day of BIRN’s international digital media conference in Ohrid, Macedonia, more than 20 experts took part in panel discussions and workshops exploring how media outlets can achieve sustainability in today’s digital world, focusing on trust in journalism and on its financing models. He also highlighted the importance of holding an event to discuss the state of digital media at a time when, for the seventh year in a row, worldwide internet freedom is on the decline. During the first panel of the day, journalists from around the region discussed the current lack of trust in journalists and the media, and the ways in which publishers are trying to rebuild it. “Journalists fear editors, editors are afraid of owners, media owners are scared of politicians, that’s the vicious cycle,” said Biljana Sekulovska, editor at Macedonian national broadcaster Nova TV. They were joined by Leila Bicakcic, the director of the Bosnian Center for Investigative Reporting, who also stressed that in terms of rebuilding trust in journalists, much of it comes down to the responsibility of the media itself. “Lack of professional standards is an individual thing. We [media outlets] have to look at ourselves and how we can do better,” she said. Separate panels also explored two media success stories; the founder of Serbian news site Juzne Vesti, Vitomir Ognjanovic, credited his outlet’s ability to given regional stories national appeal for their growth. Meanwhile, Aleksandar Manasiev from Macedonian web portal Vidi vaka said that their focus on choosing underreported stories and combining them with short-form video production had extended their reach among the digital generation. A special panel dedicated to marketing agencies was also presented, with the discussion focused on their role in working with digital publishers and promoting content online. “The most important thing for us is to have media that publishes relevant and authentic content. Clicks are not enough,” said Ira Babic from Macedonian marketing agency Brand Union. Leading a workshop during the event, co-founder of Dutch investigative outlet Follow the Money, Arne van der Wal, shared his belief that at a time when fast journalism is demanded, there remains value in taking time to produce quality content. “It’s better to do one good story than five bad stories,” he stressed. The two final panels of the day, wo other panels on how TV magazines can maintain editorial independence and on fact-checking concluded the day. In the latter, Bardhyl Jashari, the Director of Macedonia’s Metamorphosis Foundation, stressed that the focus of their fact-checking is not on the media, but on the citizens to recognise propaganda. 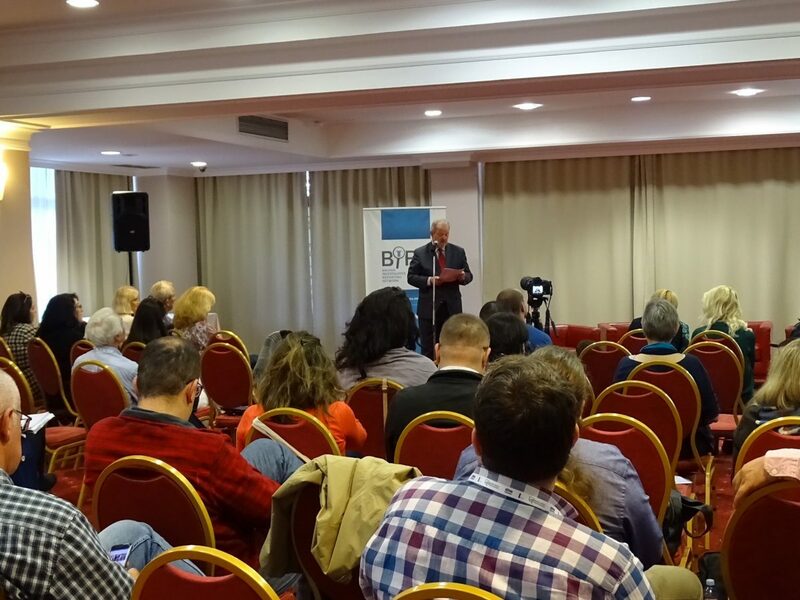 BIRN’s conference ended on Sunday with a closing ceremony summarising the key points made over the two days prior. The first day of a BIRN Macedonia conference on media sustainability heard a number of speakers exchanging ideas and best practices. Digital media in the Balkans can be sustainable, but probably won’t be any time soon, speakers on the first day of BIRN’s conference “Digital Media: Quest for sustainability”, in Ohrid, Macedonia, said. Ideas, suggestions and ways to improve digital media sustainability in the region were brought up by various speakers. Local media professionals, meanwhile, said they were not overly optimistic about becoming self-sustainable, but understand the need to achieve this at some point. The first day of the two-and-a-half-day event, which is supported by Kingdom of the Netherlands, brought together representatives of the media, journalism associations, advertising and social media experts, as well as start-ups. They exchanged experiences about best practices, developing cooperation and providing insight into a question that has troubled the global media industry for the past decade: how to achieve sustainability. The opening remarks were made by BIRN Macedonia’s director, Ana Petruseva, and by the Ambassador of The Netherlands to Macedonia, Wouter Plomp. “Not all the media have to be sustainable, but quality media outlets should be,” said Plomp. In the first session, “Is there a one-size-fits-all solution to the challenge of media sustainability?” views were shared by Goran Mihajlovski, from the web portal sdk.mk, Pavle Zlatic, from Irex, Serbia, Elvira Jukic from the Media Centre, Bosnia and Herzegovina, and by Eraldin Fazliu, from Prishtina Insight, Kosovo, as well as by members of the audience. Speakers said sustainability for the quality media remains a big challenge in the region, given the small size of markets, low advertising rates, political pressures and other reasons. However, models that can be adopted, developed and implemented include crowdfunding, connecting with communities and improving the quality of media content. Ivica Penic, of the Grow up Academy, spoke about using social media to find the best customers. He broadcasted his presentation live on Facebook. One of his key points was that the time is over when all content could be offered to everybody at the same time. “The currency is attention. You cannot share all content with everybody. Content is the king, distribution is the queen. Fun, interesting, useful. That’s the content that we’re looking for. Smartphones are no longer devices, but extensions of us,” Penic said. Spreading “fake” news and propaganda through social media was also one of the topics, addressed by Andrej Petrovski, of the Share Foundation. He said the ability of agencies to serve people tailor-made content based on their psychological profiles gives them power to control the system. “The creators of fake news and propaganda know that media-literate people won’t believe them, but they also know that there are others that will,” he added. Igor Trajkovski, from the first and biggest news aggregator, Time.mk, spoke about how the media can advance their ranking online. He said there are four basic rules to follow: publish unique content, pay attention to the first paragraph of the story, use proper names, and publish fast and update. Nina Angelovska and Zarko Dimitroski were speakers on the panel on how young people can create successful business models; both have been recognized by Forbes as young entrepreneurs. They shared their experience on building their start-up projects “Grouper” and “Eden na eden”, and on how they built well-recognized brands. Arne van der Wal shared his experience with the brand “Follow the money”, and spoke about how good content can make money. “Build strong relations with the audience, make them members instead of subscribers, and sell a mission instead of a product,” he said. Fighting irregular competition remains a challenge, as newsrooms lose audiences and market shares to one-person websites stealing and republishing their content. “The fake media, the noisemakers, are creating a lot of trouble in the media field and need to be regulated,” said Katerina Sinadinovska, from the Media Ethics Council. “Small, brave websites depend on taking content from others and are good for distributing the information to larger audiences,” said Srdjan Puhalo, a journalist from Bosnia and Herzegovina. The conference continues with panels, case studies and workshops related to media sustainability. The speakers and the guests will discuss rebuilding trust in the media, attracting the attention of advertisers and making money from investigating journalism without jeopardizing standards. BIRN Macedonia conference aims to explore both the opportunities and challenges for the digital media in a hyper-competitive age, marked by the exponential rise of social media. Between October 18 and 21, in Ohrid, BIRN Macedonia will bring together representatives of the media, journalism associations, advertising and social media experts, as well as start-ups, to exchange experiences of best practices, develop cooperation and provide insight into a question that has troubled the global media industry for the past decade: how to achieve sustainability. The two-and-a-half-day event, which is supported by Kingdom of the Netherlands, and includes panels, case studies and workshops, aims to look at both the opportunities and challenges for the digital media in a hyper-competitive age. Is there a one-size-fits-all model for the media? What business examples have succeeded and what models have failed? What can we learn from algorithms and news aggregation? How can media improve their content with different platforms and so engage wider audiences? In the past years, the number of online media has exploded in the Balkans, with new sites emerging almost daily. At the same time, as social media take the lead, professional media are losing the battle to reach audiences. As a result, most higher quality media content is lost in the noise created by tabloids, propaganda, so-called fake news and copy-paste items, which feed readers with poor content and lack critical thinking, accountability and transparency – in turn increasing distrust in the media. Digital media in the Balkans have responded poorly to the new challenges of the “post-truth” era, and to the rise of echo chambers and misinformation, sticking to traditional tools instead of innovation. Successful start-up entrepreneurs will share their personal stories and discuss how to open a start-up company, the likely impact of media start-ups, the potential for development of the media in the interactive digital space, and the potential for mergers of IT and media. Speakers from the Balkans, but also from The Netherlands and other countries, will share tips and ideas on the strengths and weaknesses of different business models for media. Among the questions they will address will be: what are the advantages of the subscription model versus membership, what advertisers want and how they identify their audiences – and what chances do “niche” media have in the region? 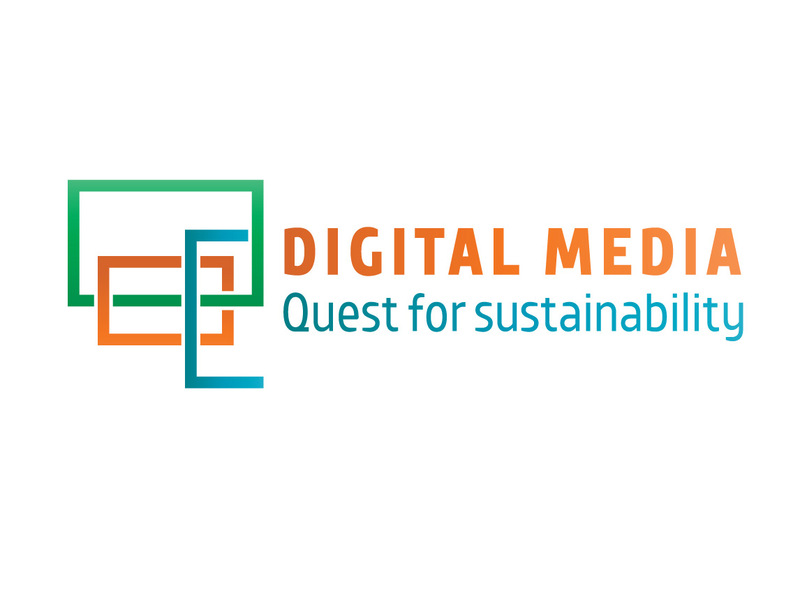 Click here to see the full agenda for the ‘Digital Media: Quest for Sustainability’ conference. BIRN journalists from Macedonia, Bosnia and Herzegovina and BIRN Hub attended a training course on mobile video production from August 19 to 21 in Skopje. The three-day training course was conducted by a Voice of America (VOA) Broadcasting Board of Governors trainer. 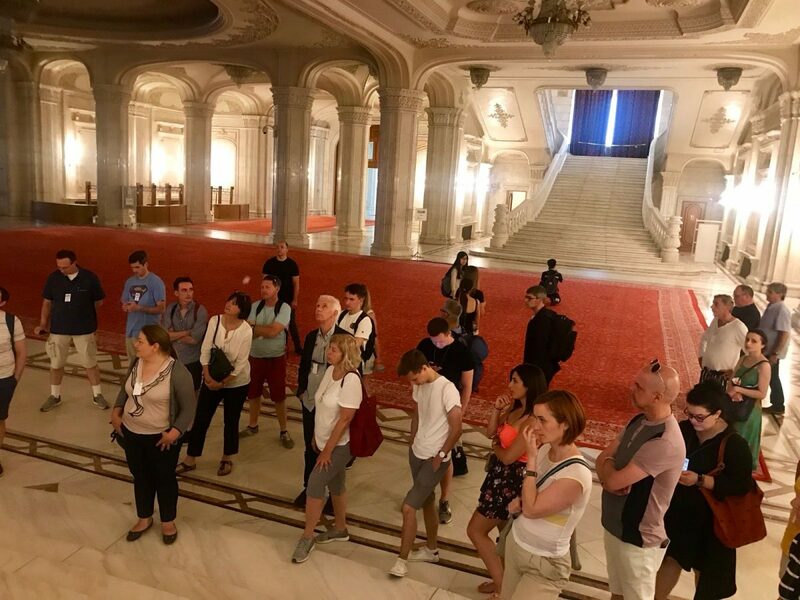 A group of around ten journalists and editors from Bosnia and Herzegovina and Macedonia were introduced to new mobile apps for filming and editing video content on mobile platforms. They were also taught new approaches and developed skills in video reporting using new technologies that will be in use in everyday reporting and delivering content, especially for social media. The training was intended to improve focused video content relevant to web and social media audiences and enhance journalists’ ability to tell stories that engage users through text, pictures, videos and livestreaming. The training continued the cooperation between BIRN Bosnia and Herzegovina and VOA, which started at the beginning of 2017. 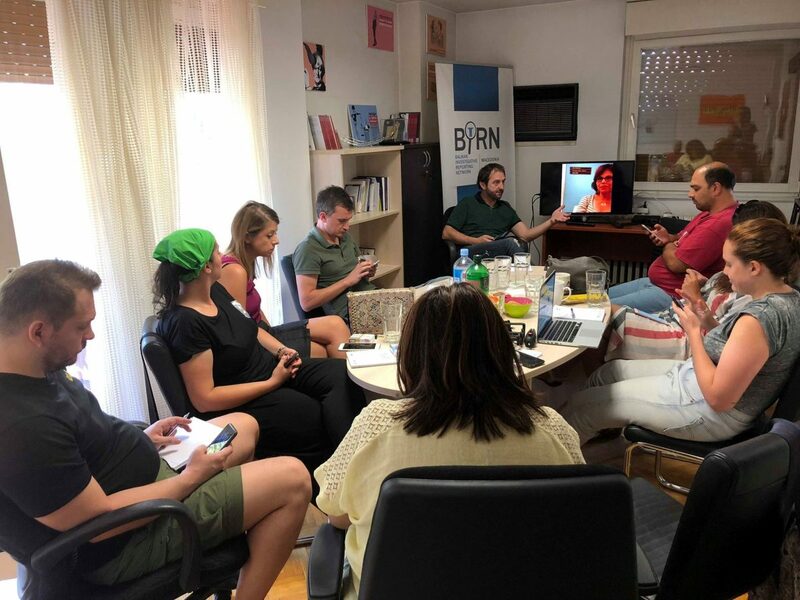 Directors, board members, partners and donors of the Balkan Investigative Reporting Network, BIRN, met in the Romanian capital Bucharest on June 2-3 for the network’s latest regional meeting of its governing bodies. At the meeting, the BIRN Network’s activities and achievements in 2017-2018 were presented and the plans for the upcoming period discussed. The annual Steering Committee meeting and Assembly session were held, and regional social media guidelines were adopted at the event. In recent times, BIRN has operated in an environment marked by illiberal tendencies in the region, media freedom decline in several countries, captured states, and unresolved issues from the past. Nevertheless, its online publishing, TV and video production reach growing numbers of people; its journalists have won a number of local and international awards, and its reporting has produced tangible social and political changes. BIRN’s longstanding donors and partners from Konrad Adenauer Stiftung and ERSTE foundation attended the meeting. Monitoring reports produced by BIRN and articles published in its regional publication Balkan Insight continue to be quoted in international reports about media, human rights and politics in the region. The Media Sustainability Index for 2017 published by IREX in May, in its Europe and Eurasia section, mentions BIRN when describing the media situation in the region, specifically media freedom, lawsuits against media organisations and journalists, as well as BIRN’s reporting on corruption and its training programmes. The US State Department report for 2017 on human rights in Albania, published in April, quotes BIRN Albania’s research about media censorship in the country. The report also mentions that in 2017 a member of the High Council of Justice, Gjin Gjoni, filed defamation lawsuits against two BIRN journalists and two journalists from Shqiptarja.com for their coverage of his asset declaration, which was being investigated by prosecutors. In the Media Landscape – Serbia report, published by the European Journalism Centre in May, the results of the Media Ownership Monitor carried out by BIRN and Reporters without Borders Germany, as well as articles related to media published by Balkan Insight, are quoted throughout the. 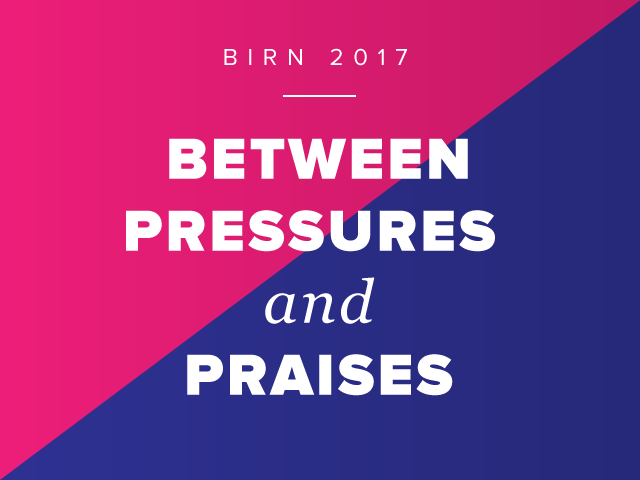 In 2017, BIRN Network operated in an environment of declining media freedoms and unregulated media markets, where authorities and pro-governmental media outlets pressured members of the Network and its journalists; nevertheless, BIRN received national and international prizes as well as different kinds of informal praise. An unfavourable media situation and the lack of proper cooperation with institutions—sometimes even hostile attitude towards BIRN—occasionally hinders the work of the organisation. 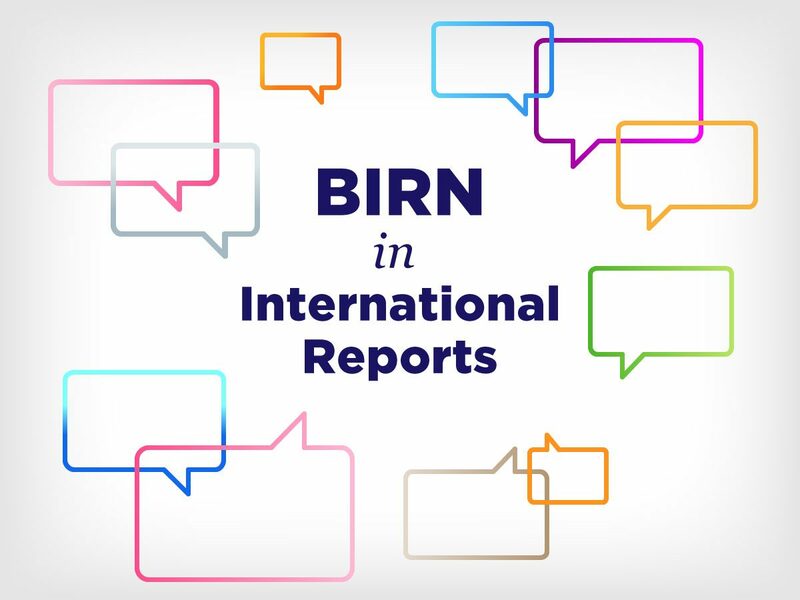 However, through this report, we also underscore the best results of BIRN’s work, including the praise it has received. The report shows what the organisation did to offer high quality journalistic work and to provide citizens with reliable, timely and in-depth reporting as well as BIRN’s contribution to improving media freedom and openness of public institutions. It also highlights the instances in which BIRN’s work had a strong political and social impact, showing that—despite difficulties—professional journalistic reporting can conclude in tangible results. The whole report is available here [link]. 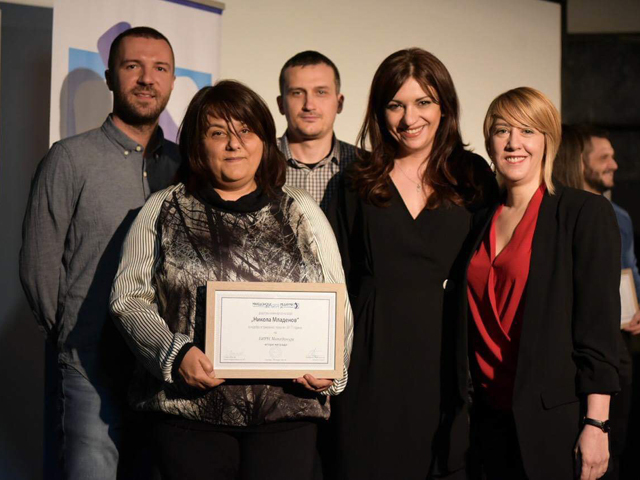 BIRN Macedonia on Tuesday won second prize in the prestigious Nikola Mladenov award for investigative reporting. The prize was given for the Foreign Investments Uncovered database on foreign investments in Macedonia announced by the government from 2007 to 2016. “BIRN’s journalists have provided the public with a comprehensive insight into the real value of foreign investments, as well as into the unjustified spending of huge amounts from the state budget to support the entry of foreign investments,” said Biljana Petkovska, director of the Macedonian Media Institute, which grants the award. The first prize went to Menche Atanasova Tochi for a series of stories about suspicious imports of drugs, published on Nova TV’s website, a study that, according to the commission, showed serious abuses by state institutions and manipulation by some pharmaceutical companies. The third prize was shared by Peter Klincharski for the story ‘Lost in 1,000 Translations’, which was broadcast by TV Alsat-M, and Liridona Veyseli for the story ‘Where is the Jihadist’s Headquarters in Macedonia?’, published on the Zhurnal website. The award was given for the 17th time, as part of efforts to promote professional journalism and democratic values ​​in the country. BIRN’s database Skopje 2014 Uncovered, detailing the cost of the capital’s grand revamp, won the Nikola Mladenov first prize in 2016. 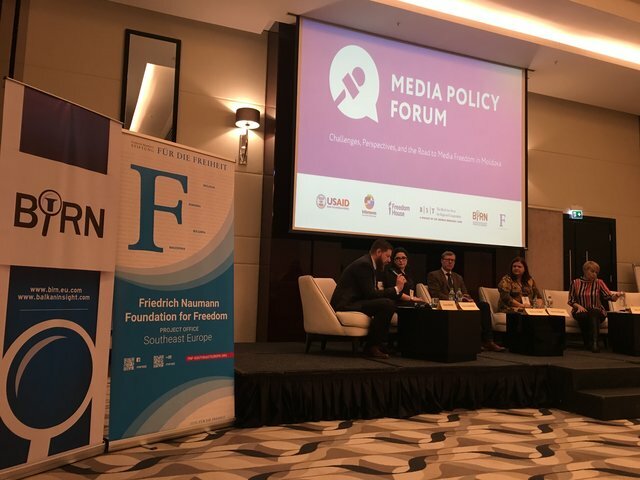 The Media Policy Forum was organised in Chisinau by Freedom House, the Black Sea Trust for Regional Cooperation and Internews, and co-sponsored by USAID, the Friedrich Naumann Foundation and BIRN. “In the last few years in Moldova, we cannot talk about progress, but more about regression,” Nadine Gogu, executive director of the Independent Journalism Centre in Chisinau, told the Media Policy Forum in the Moldovan capital on Tuesday. The biggest problems identified by the speakers at the forum related to the increasing politicisation of the country’s media and the alleged concentration of ownership in the hands of proxies for the ruling party, which was described as a threat to the country’s democracy. The president of the Moldovan parliament, Andrian Candu, told the forum however that “it is important that the media should be allowed to raise its economic capacity”. Candu argued that the media should have more access to public information and that the debates at the forum should help politicians to improve mass media legislation in Moldova. But Moldovan media NGOs complained about the unwillingness of the authorities to offer more rights to journalists. Freedom House described Moldova as a country with a ‘partly free’ press in its 2017 Freedom of the Press index. Participants at a panel moderated by Tim Judah, a special correspondent for The Economist, stressed the need to increase the level of media literacy in the country as a tool to combat propaganda and so-called ‘fake news’. The director of Romanian Centre for Independent Journalism, Ioana Avadanei, described a successful media literacy programme that was implemented in some schools in Romania with young pupils. “It is not so much fake news that causes trouble, it is disinformation that comes in many shapes and form and it’s not only about banning content from social media, it is about how to educate people today,” Avadanei said. BIRN’s Macedonia Country director Ana Petruseva noted how investigative journalism had played a very significant role in the fight against the concentration of media power and the disinformation spread by government-controlled media in Macedonia over the past few years. “We had a situation when on three to four private TV stations, we could see the same exact report… the only different thing was the voiceover,” Petruseva recalled. 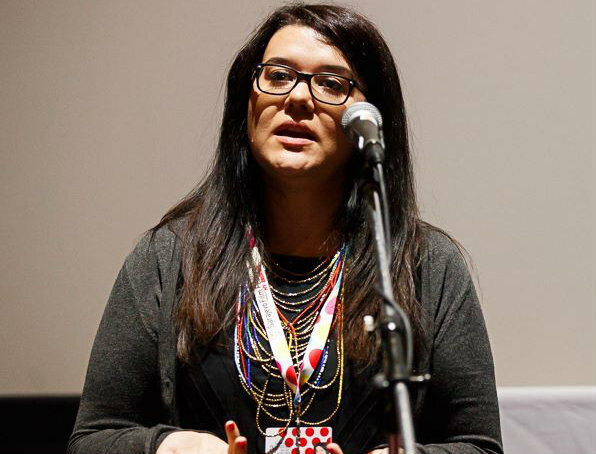 The Balkan Investigative Reporting Regional Network (BIRN Hub) has appointed Marija Ristic to the positon of Regional Network Director, to replace the current director, Gordana Igric. Marija Ristic has been appointed as BIRN’s Regional Network Director, effective from May 1 this year. She will lead the BIRN Hub, which coordinates the BIRN network, dealing with editorial, training, operations and development, as well as developing, fundraising for and coordinating core regional projects. Since its inception, BIRN has attracted exceptional professionals to its team who have helped the organisation over the years to flourish and become a trusted source of information, and Ristic is one of the foremost examples, said Gordana Igric, the current BIRN Regional Network Director. “I feel confident that she will bring fresh ideas and new energy to the Network, as well as passionately guard the quality of programmes within the Hub,” Igric said. Ristic started working for BIRN in 2011 as a journalist, contributing to the regional Balkan Transitional Justice programme. Topics related to facing the past, reconciliation and transitional justice have been at the core of her professional development. In 2015, Ristic produced the award-winning documentary ‘The Unidentified’, which was screened across the Europe and the United States. She also made BIRN one of the first media organisations in the Western Balkans to initiate regular reporting about violent extremism, populism and propaganda under the regional Resonant Voices Initiative, which also involved training journalists to cover these topics. “It is a privilege and an honour to lead such an exceptional team of professionals who have been at the forefront of defending media freedoms, human rights and setting the highest journalistic standards across the Western Balkans region,” Ristic said. Ristic has significant expertise and knowledge related to media, transitional justice, human rights, democratic processes and EU integration. She has also been actively involved in organisational development, fundraising and expanding the organisation’s influence regionally and abroad over the past several years. Ristic is a graduate of the Geneva Academy for International Humanitarian Law and Human Rights. She has received numerous awards and scholarships from the Konrad Adenauer Stiftung, the OSCE, Zoran Djindjic Foundation and the Research Council of Norway. She is currently a fellow at the Free University in Berlin, Germany enrolled in the European Journalism Fellowship programme, researching universal jurisdiction. Gordana Igric, the outgoing Regional Network Director, set up BIRN in 2004, and over the past 14 years has overseen its growth from a handful of employees to around 150, with six offices in the Western Balkans, journalistic coverage from 13 countries, and 16 websites in English and local languages.